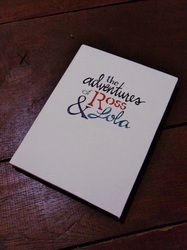 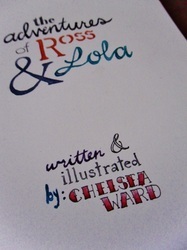 Ross and Lola was created for a friend of mine about her two children and their lives split between living in Texas and Italy. 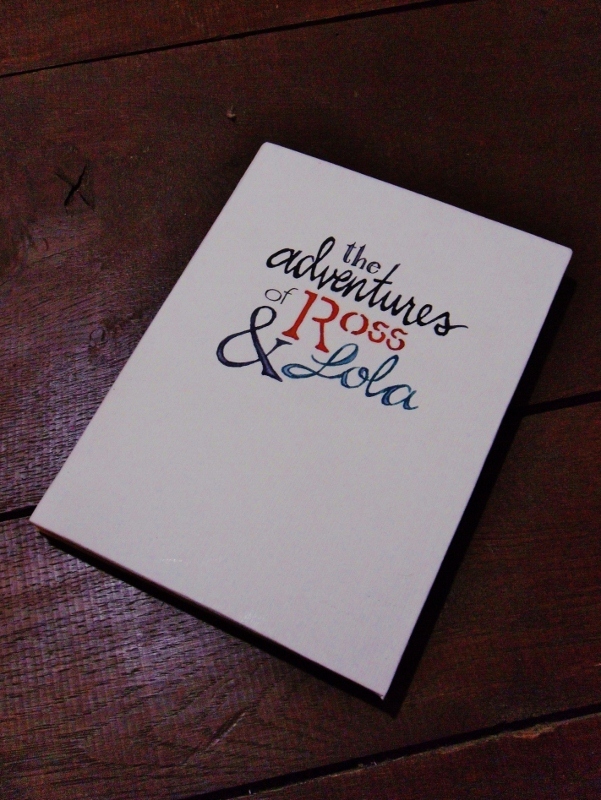 It is bound between Davies board and covered in cream paper. 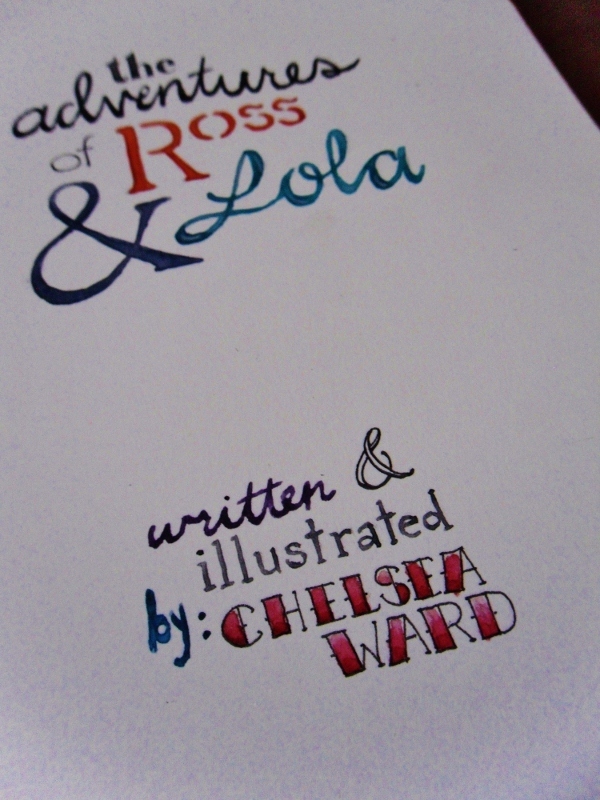 The front and back covers have watercolored details. 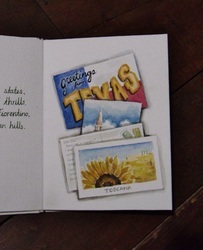 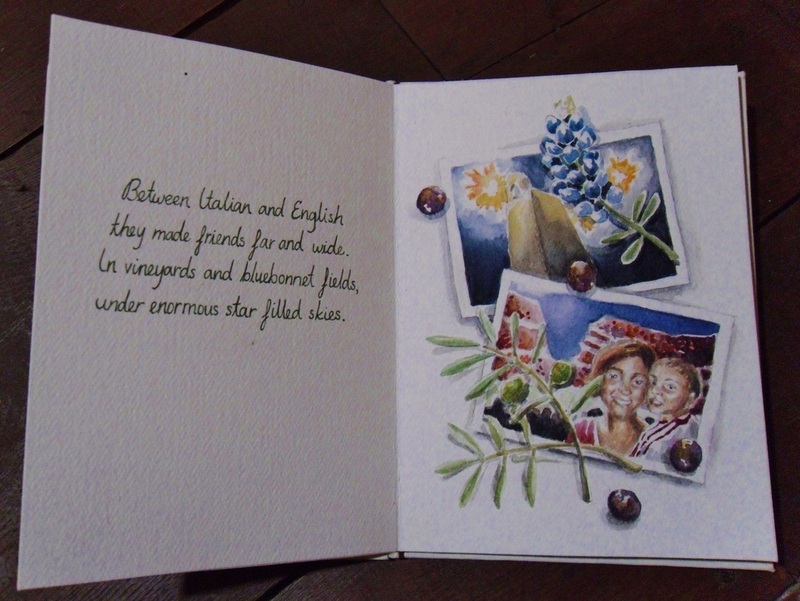 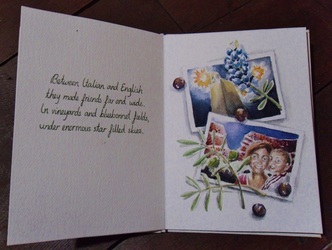 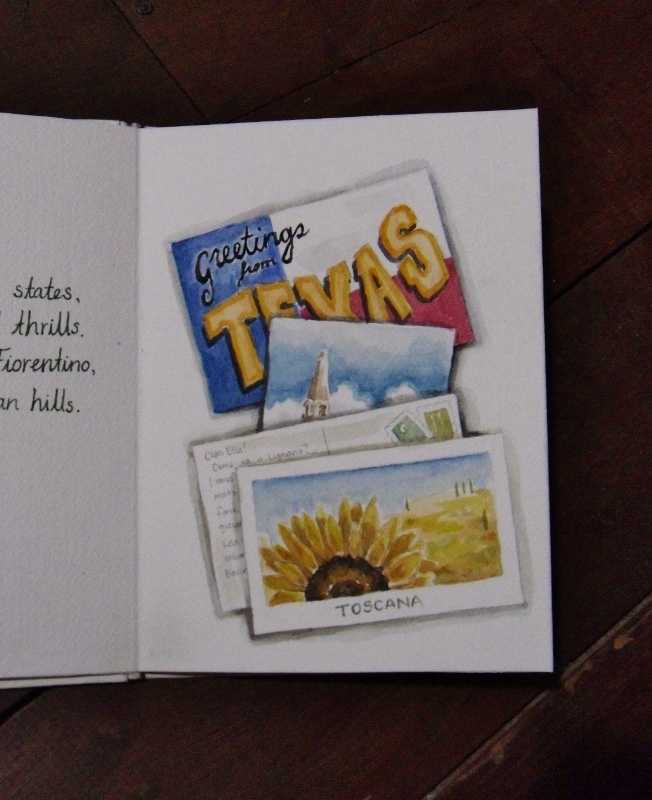 The inside has maps of Italy bound in and the illustrations are done in watercolor on watercolor paper.